Reflexology Equipment- Which one is for you? It’s good news that many people have begun to treat their feet the way they do to the other parts of their bodies. One of such treatment is foot massage which is also called reflexology and aims at reducing tension within your feet with the entire toes. In addition, reflexology with ideal reflexology equipment can bring relaxation that can ensure you sleep soundly. I can’t dispute the fact that you can do foot massage on yourself but it’s better when you get the services of a trained therapist. The reflexology exercise works well when you put the appropriate massage equipment into use. The reason that almost compels you to restrict all the reflexology activities to a trained therapist is that t the exercise targets the reflex points. It’s not easy for ordinary people to trace these reflex points that have the links to the entire parts of your body. How to choose the right recliner and accessories for reflexology? Reflexology is an exercise that involves the application of pressure with the use of fingers on feet and its toes in order to reduce stress. The specialist who performs reflexology is called reflexologist who has knowledge about the location of all the reflex points. It’s believed that every reflex point within your feet has got a corresponding link with other body organs. For instance, the touch on your small toe corresponds to your ear. Therapists argue that reflexology has immense health benefits that don’t come with side-effects. The most notable benefits are the treatment of stress and insomnia. Other health benefits of reflexology include; relaxation of tension and facilitation of circulation within the body. However, there are some instances when reflexology shouldn’t be performed on your body. If you’ve wounds and sores on your feet, you need to avoid the practice as it can promote infections in areas with injuries. You should also avoid reflexology if you’ve burns on your soles. Likewise, when you’re pregnant and especially in the latest stage, you need to avoid reflexology as it can come with contraction. This is true and has scientific evidence that when there is rubbing on the foot of an expectant mother, this happens. You won’t like having this exercise when you’re not at ease. The ideal recliner should be the one that serves both the therapist and you who gets the foot massage. The recliner shouldn’t be the one that makes the therapist hard time to constantly bend to very low heights. On the other hand, the recliner shouldn’t compel you to stretch your feet too much during reflexology. It’s no doubt that you can admire any type of recliner but this will depend on its cost and what you’ve in your pocket. You need to know that the prices of ordinary recliners don’t compare the prices of massage recliners which come at high costs. 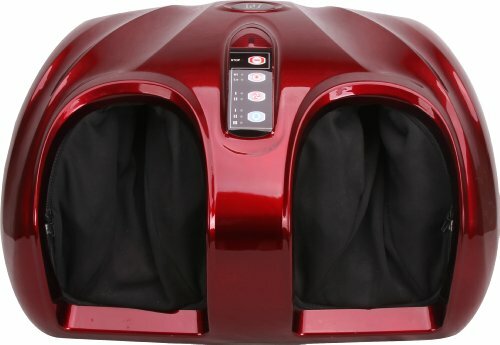 The best thing with massage recliners is that they’ve heating system that can help you massage both your back and feet. The type of fabric that’s of use is another factor that many buyers consider while purchasing recliners. The recliners come in varied types of fabrics including corduroys, cotton, leathers and microsuede. If you’re looking for comfort, then you can go for leather, but pests can easily destroy it. On top of comfort, microsuede is durable and at the same time have resistance to stain. Another factor you need to consider is size. Only buy recliners that aren’t too large or too small for you but the ones that you can use without compromising your comfort. 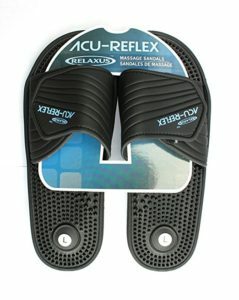 The other accessories for reflexology should provide comfort and be durable. It’s important if you go for what you can afford and the accessory that gives you value for your money. The materials in use will dictate the prices of many reflexology accessories. It’s true that you can bypass the reflexology chairs and still obtain some good foot massage. However, having the best reflexology chair would make the exercise much comfortable and exciting. You should go for good chairs but only the ones that accommodate your budget. You equally need space for the chair as some may occupy very large areas. The ideal chairs should satisfy and support the weight and height of different users. The chairs should have points of adjustment to fulfill your luxurious demands. In addition, you should choose chairs that are easy to store. It can be a plus when the reflexology chair is movable. Here are some notable reflexology chairs with their benefits and demerits. From the look, this reflexology chair is designed to provide total comfort. Its use isn’t only confined to the beauty salons and the spas but many other zones. 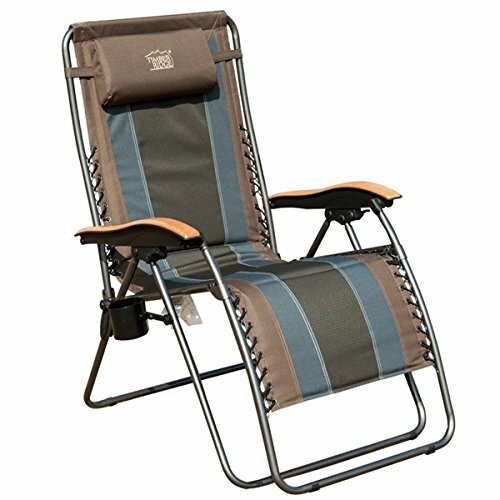 Other areas where the chairs are in use are; pool furniture, patios and for camping. You can also use these chairs in your office to heighten the level of comfort both for you and your guests. The reflexology chair has an adjustable pillow that is both ideal for the headrest and lumbar anchorage. These features only ensure that you achieve the much-needed comfort while using the chair. The design and how it’s built makes it perform even better than humans. It has many features that can give you a wide variety to choose from. The adjustable pillow guarantees massive comfort. It’s an anti-gravity thus ideal for prolonged relaxation. It is durable since it has UV-resistant high-quality breathable mesh fabric together with powder-coated steel frame. Its portability feature makes it convenient for traveling. It has been on the market for long enough to earn your trust, and the manufacturers have a good reputation in the market. It only offers comfort to the user but not the therapist. Does not have an adequate position to rest your arms like other reflexology chairs. These chairs are common, and you’ll only appreciate the comfort that they bring after trying them out. The design is nearly the same to that one of garden chairs, but the luxury is improved with Lafuma chairs. They nearly serve the same purpose with garden chairs, but Lafuma chairs come at higher cost. 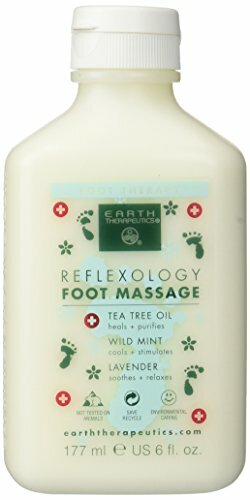 It’s not possible to conduct reflexology in the absence of reflexology cream, but some lotions can be of benefits for the service. In addition, you can opt to make your own cream if you find the ones on the market too expensive or non-genuine to you. It’s good that the prices of the creams can never be compared with the prices of massage chairs. The cream also has aloe to promote its naturalness and reduce side-effects. The lotion being an essential oil is safe for use as it has a good therapeutic index. In addition, the lotion softens dry skins and heals calluses on the edges of your foot. This lotion might compel you to use other products alongside them in order to improve its effectiveness. The use of these products can make the cost to rise even beyond the lotion itself. There’s no single part of your body that don’t need a massage. The massage can be done by applying pressure with the use of the fingers. However, the use of hand reflexology massager is on the rise because of its easiness to use. These massagers relieve stress and tension as well as alleviating fatigue. The soothing effect that the device brings is relaxing and addictive. The manufacturers take pride that the device is the first of a kind in the market of hand massagers. This is because of the pressure that it exerts at various points of your palm and the fingers. 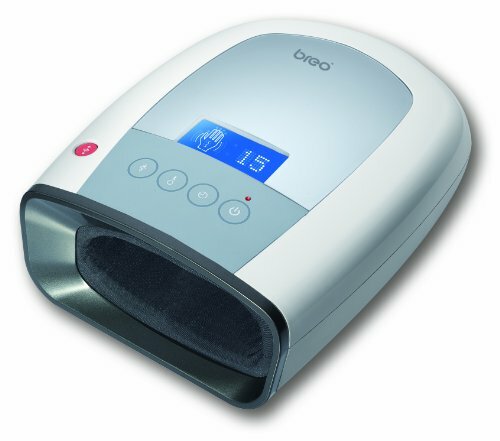 It facilitates heat massage, point massage, and air pressure massage. Your budget can easily afford it because it’s cheap. It’s easy to carry hence easy to move around with. It’s modern and can match any style of hand massage. It gives a complete hand reflexology with heat compression and point massage. Only the trained therapists can work well with it. It’s good that you’re now embracing the good art of giving your feet a good treatment after years of persecution. It’s never a good idea to wear closed shoes all day long at work and still come back home to wear them. This is bad as it reduces the circulation of both oxygen and blood within your body. I can’t also urge you to wear flip-flop as they can promote injuries to your feet and at the same time strain your ankles. All these problems can bring pain to your feet. It’s in order when you wear good sandals during a reflexology exercise. These reflexology sandals have originated from the Eastern parts of the world. They come in ranges accommodating both males and females. Their actions are around the sole, toes and the arches. The action leaves you with relief that keeps you want to wear them the more. By just wearing these slippers, you enjoy a semi-foot massage and mini- shiatsu treatment while walking. Within these sandals are ball-like embedded on the shoe soles, which enable you to unwind when you walk while wearing them. The slippers promote maximum circulation within your feet and the rest of your body. The overall result is that your body receives relaxation that diminishes stress. It’s best when you put on these sandals together with reflexology socks to get maximum results. Unfortunately, many people only think that reflexology socks can only be worn alongside reflexology shoes. In fact, you can wear only the reflexology socks during the reflexology of the feet without wearing sandals or shoes. These are foot massage tools that when you put in use can bring relaxation and alleviate pain. This works well for people whose duties include lots of hours standing. The relaxation brings a soothing comfort to your feet especially when you regularly observe the exercise. The rollers are good as their use never demand the instructions from the therapist so you can give yourself the service that befits you. The art involves the application of pressure on the areas of your sole that have pain with the use of rollers. Most rollers are made of wood, and that’s what many therapists recommend. The relief it brings soothes the feet and heals the pain that comes because of plantar fasciitis and neuropathy. The pain can also prevail due to other ailments. These rollers promote relaxation on your feet especially after putting on closed shoes for a considerably longer period. The relaxation freshens the fatigued, sore and achy feet thus promoting proper blood circulation. The weight of the roller is low, and this makes it easy to carry hence portable during your travels. In addition, the rollers are versatile as they accommodate feet of varied sizes. This is one of the reflexology accessories that you can rely on to see long days with you. The Theaceae wood that’s used is of high quality and can last longer than I can say. Moreover, there’s a warranty that can secure it against damage. No one including you should find the use of foot rollers difficult unless there are cases of disability on your feet. All you need to do is to remove your feet from the sandals or shoes and fit them on the rollers. The exercise requires you to roll your feet intermittently over the roller and applying pressure on the zones of your feet with pain. You can do this while wearing reflexology socks. The benefit of this exercise is to eliminate soreness on your sole and the general foot aches. It also relieves your fatigued feet thereby promoting sleep when you go to bed. You can obtain the same result when you wear shoes with reflexology insole. The need to have regular foot massages has prompted many people to buy the best foot massagers to allow them to have reflexology whenever they need. This is because of lack of time and finance to consistently obtain the service from the therapists. How do you see an idea of raising some funds to bring one to the confines of your home? I can tell you that it’s a good idea that gives the answer to your foot massage both today and in the future. This massager machine has vibrating plates that stimulate acupoints. It delivers greater heights of effectiveness to your feet and calf where it revitalizes with energy. It promotes blood circulation and alleviates tension and stress. The presence of the vibrating plates only makes it more effective. It’s light and easy to carry so you can travel with it because of its portable nature. It equally massages the sole. The battery power isn’t durable enough. We cannot debate the fact that your body needs a regular massage the same way your mouth constantly needs food. While answering the call of body massage, you should never alienate your feet because the exercise is better when you start from the bottom. Even if you don’t like it, your feet will compel you to have a massage, until then, there’ll be no peace within your body. The good news is that there are numerous ways of honoring the call of foot massage. If you want to bypass a therapist, you need to brace yourself for a financial tussle that culminates to acquiring reflexology tool accessories. On the other hand, you shouldn’t avoid the therapists they’re the trained people who know exactly what your body needs. The soothing foot massage has numerous health benefits that come without any side-effects. The exercise can be addictive, but it’s exactly what your feet desire. When you have reflexology equipment, you’re sure of enjoying the activity quite often. What is reflexology massage and how does it work? Can You Use a TENS Unit While Pregnant?